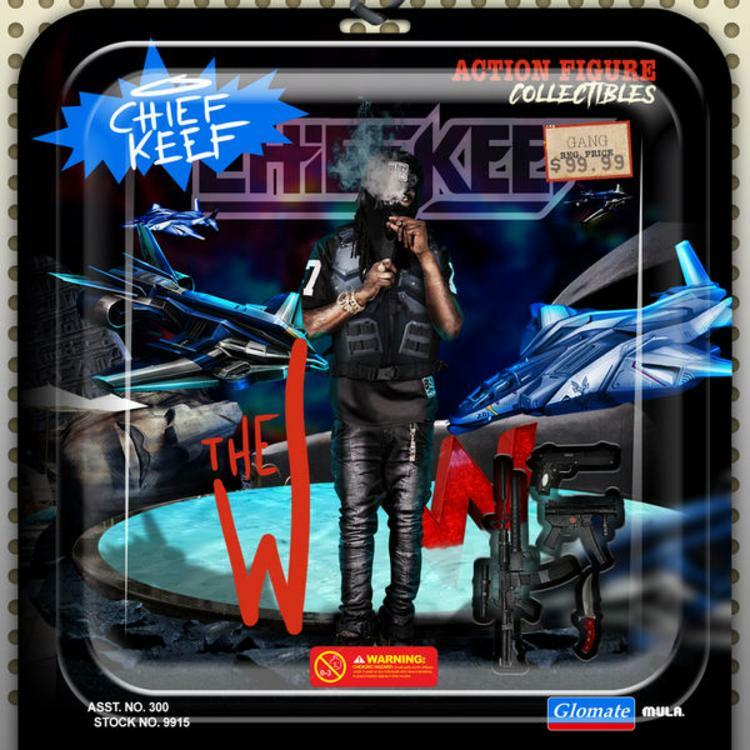 Chief Keef returns with his new mixtape "The W."
Earlier this month, Chief Keef announced that he would not only be premiering a documentary on Apple Music but he also announced the release of a new mixtape. Today, he finally comes through with some much needed music for the streets as he released his brand new tape, The W.
The W marks Chief Keef's third mixtape of this year. He's definitely been one of the most prolific artists since he came out the gate. The rapper has been played a major role in the shift of hip hop since coming out with "I Don't Like" and introducing drill music to a wider audience. With the release of this mixtape, Chief Keef recruits some very notable features and long-time collaborators. The tracklist sees Fredo Santana and Lil Bibby on it, as well as Tray Savage, Doo Wop and Ballout. On top of that, he's also recruited some very solid producers on this. Zaytoven comes through with four production credits on the tracklists and 808 Mafia has two including the track "Never Had A Job" with Fredo Santana. Other producers include CBMix and Hollywood J as well. It's another solid project from the Chicago rapper. Even though, his career hasn't had the same mainstream success as it did when he first entered the scene, he is now being recognized more often for the impact that he has had in hip hop. This past month, Chief Keef has been doing many more features for some major artists. Last week, he was revealed to be on the A$AP Mob's compilation album where he features alongside Rocky, A$AP Nast, A$AP Ant and Playboi Carti on "Blowin Minds (Skateboard)". He was also featured on Tyga's "100" alongside AE. Chief Keef has been keeping busy for the past little bit. While he's also been facing some legal issues in between, hopefully the more music he makes, the less trouble he'll be getting into. Lil West Delivers On New Album "LW17"